I had a really sore neck last week, which kept me from sewing anything at all. It's getting better, finally, so yesterday I tried quilting the wedding quilt I'm working on...I only worked on it for 15 minutes before I felt my neck start tensing up again. That was the end of that. So, there's not much progress to share on that project. I have been doing a bit of EPP work lately while we've been traveling to appointments or to visit family, though, so it hasn't been a total sewing bust. Since I last shared these stars, I've finished 8 more. This is my favourite of the new stars. I just love those blue flowers! 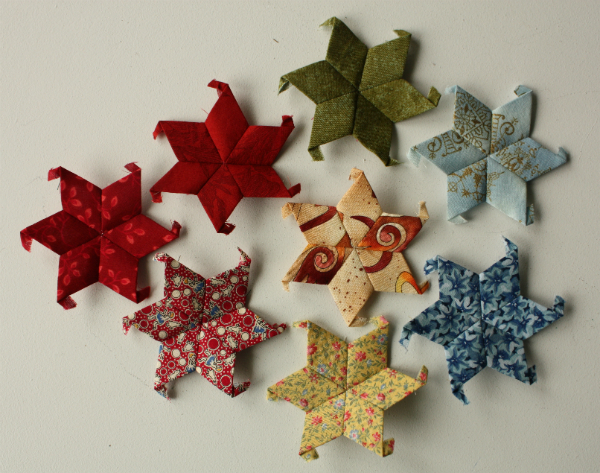 I used one of my stars to make a pincushion, so my total is now 24 stars. I still have no actual plan for what I'll do with them. I know I want to connect them with a solid colour, probably grey, so I'm only using prints for the stars. Mostly I just enjoy stitching them while we're on the road, so I'll keep going until I feel like I have enough. Judging by how slowly I'm finishing them, that could be a while. With school ending in two more days (and babysitting ending too!) I'm looking forward to camping trips, hiking and just generally relaxing, which will probably include a few more stars. Hi Leanne! I found you over at Freshly Pieced. 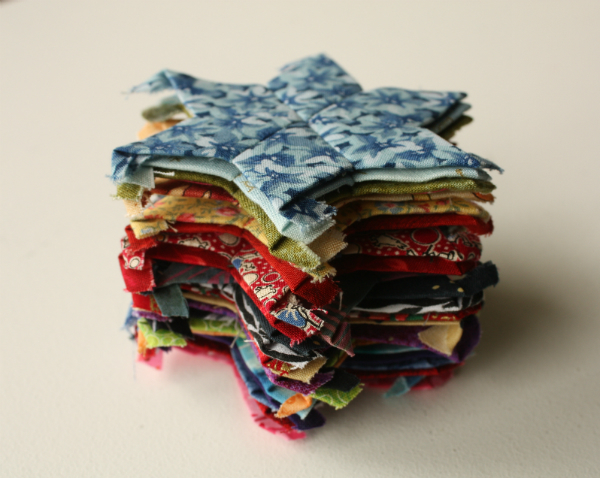 =) I love your wonderful little stack of EPP stars! Hand sewing is my favorite method right now... just something about the pace and the mobility of it - calms me. I am sorry to hear about your neck! I hope it gets better! Thank you for sharing! ~ Aloha. Haven't seen EPP stars before. I like them. Hope you are feeling better soon. Love EPP, but it is additive, and portable. 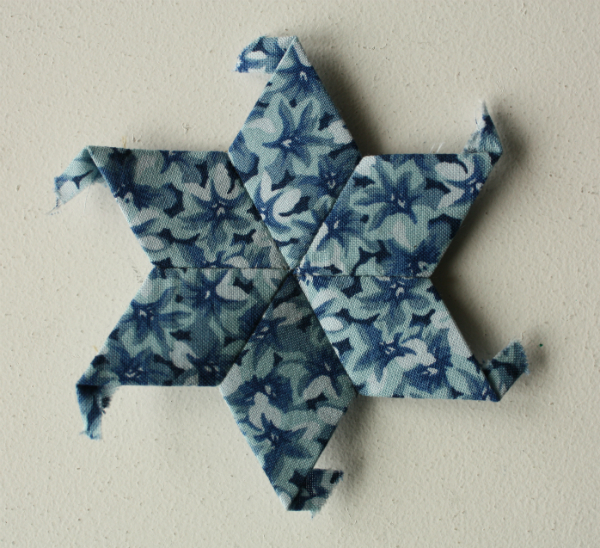 I am addicted to EPP hexies. Yet to try stars.